I was getting kind of tired making the Block Bs for my Lazy Sunday Mystery Quilt, so I decided that I would start sashing together the blocks from the center out, and somehow I thought it would make my life more organized. Jury is still out on that one. Hooray! I love it so far and I'm happy that I didn't go with a white background for once. I"m off this weekend to Michigan for my wedding shower --- hooray for family and food! 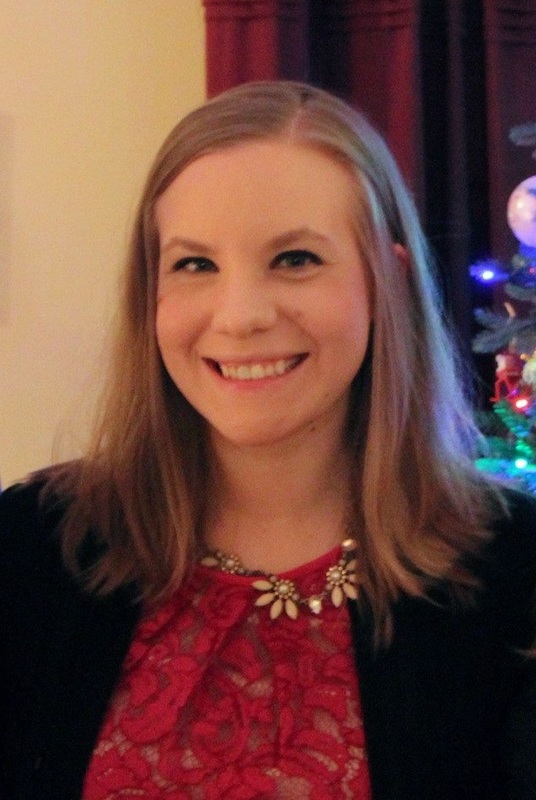 Thanks for all the love and help celebrating my two year blog-iversary! Here's to many more years!! So here are her primary color fat quarters!! No finishes here today, but just a little more progress on my Lazy Sunday Mystery Quilt. I have just about finished putting together all of the pieces for the second block for the quilt and started the cutting on the centers of the Ohio star-like block. The fabric that I chose is a print from AMH's Innocent Crush line and I decided to fussy cut the fabric so that there is a "burst" in every center square. One downside to fussy cutting is a lot of waste!! I decided to "skip ahead" in the directions a little to part 4 (I'm not quite finished with part 2 yet, whoops) and fussy cut the setting cornerstones out of the scraps. Is it just me or are these really cute? While I'm not quite done finished making all of the hourglass blocks (almost!!) and not made a lot of progress with the corner blocks, I have enough done to show what the next set of blocks will look like! I am in love with the orange and can't wait to see how the final block looks with the fussy cut centers. Happy Friday to you! And this is the last chance to enter my blog-iversary giveaway -- entries close at 8 PM tonight! If you haven't entered my blog-iversary contest, please click here!! 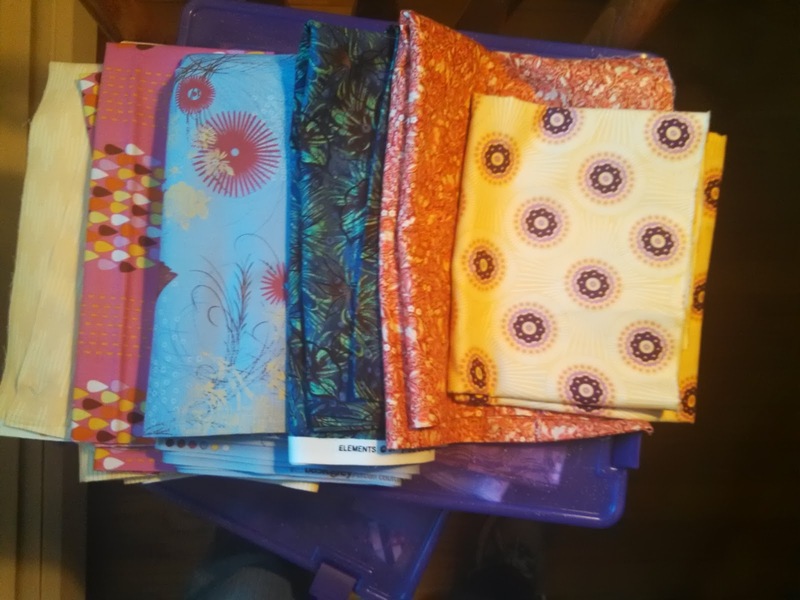 While I was working and out of town a good chunk of the weekend, Sunday afternoon I was able to get all of the first type of block done for my Lazy Sunday Mystery quilt. Hooray! Right now I'm working on making half-square triangles and then cutting them in half for the next block. Kind of a slick trick instead of sewing all the individual triangles together by hand. So far, I've really liked the color scheme that I've chosen and hopefully it doesn't look too busy in the end! Linking up at Fabric Tuesday, Sew Cute Tuesday, and WIP Wednesday! 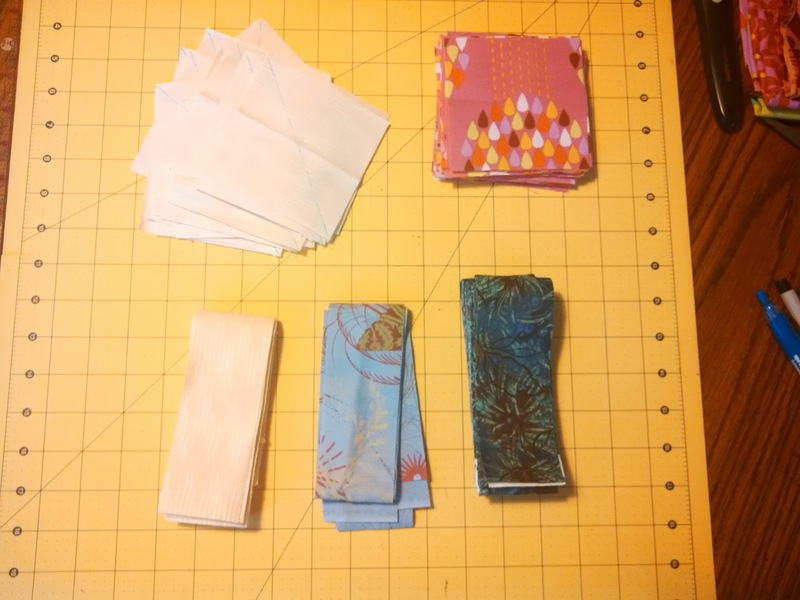 Tomorrow is my two year blog-iversary and to celebrate, I am going to put together a set of four fat quarters from my stash for the lucky winner in whatever color (or colors) they choose! As some of you might remember, I am getting married in October (ZOMG LESS THAN TWO MONTHS AWAY!!) and my wonderful Park Ranger Fiance needs space for his stuff, so I am going to have to cut down on the stash that I have just a little bit. My loss is your gain! I'll put some teaser stash pictures on here once I get home from work tonight. But for now, for one entry put what color/style of fabrics you're trying to stash! For a second entry, followers comment with "I'm a ______ follower" and enter the color/style of fabrics you're looking for. The contest will close at 8 PM August 23rd. Today I got my August Fat Quarter Friends swap package! The fabrics are so beautiful! 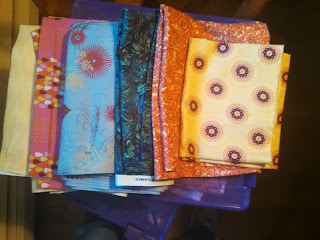 This weekend I also braved doing some free motion quilting on some simple placemats! I did one with loops, one with curls, one with shells, and one outlining the large flowers. I still need a LOT of work, but I am proud of starting to practice it myself! The fabric is something I bought on the clearance at Joann and the binding is a print from the Summersault collection. Sharing with Sew Cute Tuesday at Better Off Thread and Fabric Tuesday at Quilt Story!! I did the hand stitching on two of these and then decided to finish the rest by machine. It came out decently well, I still need to figure out how to make beautiful corners. Here are all ten of them! And here are all the backs! The quilting isn't perfect so I'm not willing to share a close up, but they turned out so cute! I made extra so hopefully I'll have one to keep for myself! Sharing my finish at The Lovely Year Of Finishes August Party! When I decided that my August Lovely Year of Finishes Goal was to make potholders for thank you gifts for my wedding shower with my church friends, the date of said shower was August 17th. Because we're all afraid one of our members is going to go into labor at any time (for whom I made this baby quilt), they decided to move up the date to THIS Saturday.They all have been quilted and the bindings are machine stitched to the front so I need to finish the hand stitching and loops over the next three days! 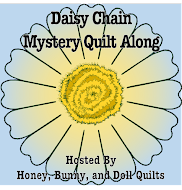 If you're an avid Quiltmaker reader like I am, you probably recently received the most recent issue where the four part mystery quilt by Bonnie Hunter was revealed. I decided I loved it, so I got all four parts out and started pulling fabric! I got all of the cutting done for the first part done (minus the borders, not sure if I am going to do them as the pattern or not). And now all of the four patches and half square triangles for the first part of the blocks are done! Sharing at WIP Wednesday and Sew Cute Tuesday! Waste not, want not -- a sort of tutorial. I've recently given up trying to do stitch-and-flip triangle corners without drawing a line on the square beforehand. Too many wrong angles, sliding, picking it out and resewing. One advantage of knowing that your line is very straight is that you can use what you'd be cutting off as waste to make additional half square triangles, unless they are itty bitty -- so waste not, want not! Now, cut between these two lines. You can use a rotary cutter, but I just used my big ol' Fiskars. The blocks I was making took four units, so you ended up with four "bonus" squares for each block. Sure, this idea isn't new, but I am really proud of these darling pinwheels! Well, I didn't make my July goal. Boo. Guess I wasn't in the mood to work on a Christmas quilt. This month, I am going to turn some of my scrappy basket blocks into potholders to give as gifts for my little bridal shower with a group of ladies from my church here. I'm not going to use all of my baskets and make potholders-- I think I need to make about 8. Linking up with A Lovely Year of Finishes for August!! This month our Queen Bee Chelsa asked us to do a larger version of Suki's Origami Star from the Virtual Quilting Bee. I strip pieced the red portions and then you add the aqua triangles via stitch and flip -- I'm putting together a little tutorial on making the most of your extras -- watch for it!